HomeDorothy Kilgallen-Her Pen was Her Scalpel. 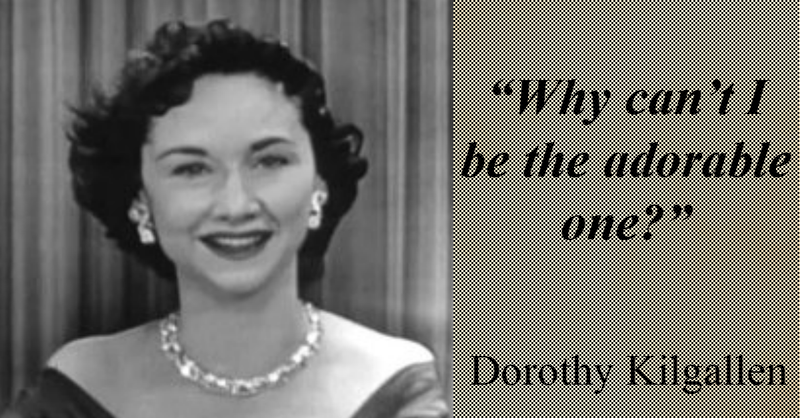 Dorothy Kilgallen-Her Pen was Her Scalpel. 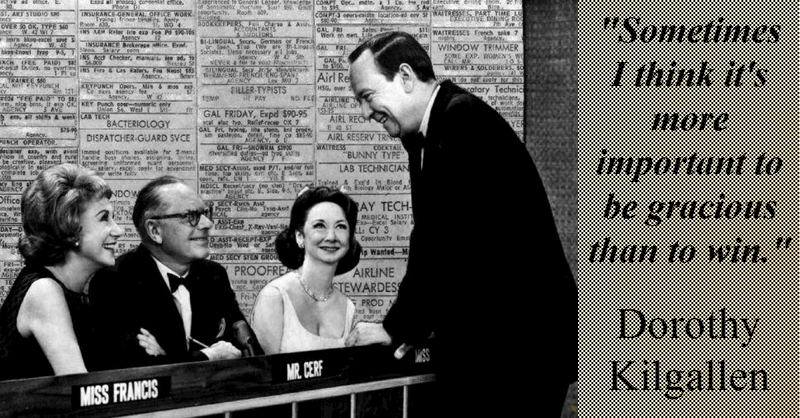 It’s doubtful many of you have heard the name Dorothy Kilgallen. The shame of it is you should have. Moreover, if born in the right generation, you couldn’t wait for Sunday nights at 10:30. Groundbreaking journalist, TV legend, and hard as nails crime investigator, Kilgallen was generations and decades ahead of her time. If not for her, Harrison Ford wouldn’t have a hit in The Fugitive. Kilgallen’s testimony is the reason Dr. Sam Sheppard received a new trial for the murder of his wife, and ended up released from prison. Forensic advancements years later proved Kilgallen was right in her deductions of Sheppard’s innocence. She dissected crime reports and testimonies like a skilled surgeon. Her abilities amazed millions, yet she wanted more. She wanted to be the girl next-door people loved for being adorable, cute. However, her wit, her intelligence, and her honesty with a pen in her weekly column read by millions earned her powerful enemies that were cruel in their retaliation. When Dorothy did a series on Frank Sinatra in the 1950s and spoke of his egocentric personality, he fought back by calling her a chinless wonder in his nightclub acts. He couldn’t argue the facts of her reporting, so he attacked her on a personal level. In the 1960s she sunk her teeth into the JFK assassination. She ripped the Warren Report to shreds, had a rumored interview with Jack Ruby, and was about to publish her findings when she was found dead in her bed—the file with all her findings—missing. On the nightstand were two glasses, though her husband slept in another room. The sleeping pills in her stomach—Three different kinds. It was ruled an accident from the mixture of alcohol and pills. The journalist surgeon with a pen was dead. The lady who became famous by traveling around the world in 24 days back in 1936, when she was 23, for a contest amongst three reporters and newspapers, never understood the adulation she had. Maybe it was in part due to her philandering husband. On the panel game show juggernaut of the time, What’s My Line?, Kilgallen wanted to be the adorable one, but couldn’t match the personality of Arlene Francis, the darling of Broadway who had a show on all three networks at the same time, and performed in Broadway shows. What she did instead was guess more professions of contestants than anyone else. From beginning to end, Dorothy Kilgallen was an untypical woman in a world not ready for her. On the other hand, maybe she didn’t realize the world was happy with who she was, regardless of when it was. She may not have been the perfect person, friend, or wife, but she was dedicated to her field. And she was unmatched. This is one of my favorite quotes of hers. This is my contribution to Colleen Chesebro of SilverThreading.com’s Writer’s Quote Wednesday. 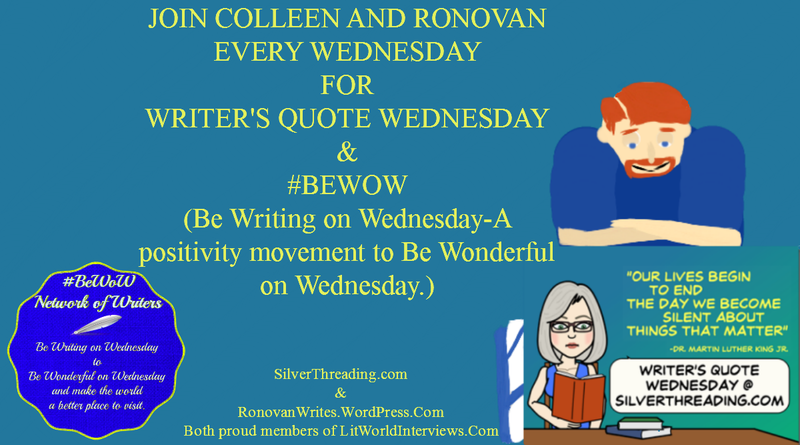 For those participating in the #BeWoW movement of positive posts, you may leave your links in the comments below, or do a ping back to this post if you wish. Use the hashtag #BeWoW on Twitter to help your posts receive RTs from others. Ronovan Hester is an author, with a debut historical adventure novel Amber Wake: Gabriel Falling due out in December of 2015. He shares his life as an amnesiac and Chronic Pain sufferer through his blog RonovanWrites.WordPress.com. His love of writing, authors and community through his online world has led to a growing Weekly Haiku Challenge, Weekly Fiction Prompt Challenge, and the creation of a site dedicated to book reviews, interviews and author resources known as LitWorldInterviews.com. ← NEW FORM of Haiku & Poetry. Fascinating post on Dorothy Kilgallen…now here’s a woman who was most likely murdered for her brilliant and incisive reporting…this can be a cruel and merciless world to many who dare to speak up. Thanks Ronovan! She sounds like an interesting lady. Thanks for introducing her. Thanks Ronovan. I didn’t know her but she deserves more attention for sure. Thanks for the education. Here’s my contribution. Very interesting. I remember her from the game show. Always liked her, but now I like her even more, after hearing about all she did. This was intriguing. I am always so inspired by people who live a fully realized life and leave a legacy such as hers. An excellent article by Ronovan Hester about someone that I had not heard of.. and as Ronovan said.. that is a shame as Dorothy Kilgallen sounds like and extraordinary woman. What a fascinating woman. I hadn’t heard of her – someone should write a book about her. Maybe they have? I loved Killgalen. At the time of her death I had 2 small boys 13 months apart. No writing & no researching. She was cleveR and witty. Thanks for bringing back memories the good and the bad. RONOVAN, you’re right… I have never heard of her, and yet she sounds like such a remarkable woman. Sadly though,the world does not like strong women, we’d rather have pretty, tragic ones like Diana. One problem you would run into with Dorothy as a friend would be her keeping conversations secret if it contained some juicy bit of column fodder. If you were an actual friend in one on one situations I am sure she kept things quiet, but she was known to share things spoken in a small group of close friends. I guess she figured it was fair game at that point. RON & COLLEEN, THANK YOU! GREAT WRITING! I REMEMBER HER, AND MY MOTHER NEVER MISSED “WHAT’S MY LINE”. A smart, interesting woman. And I don’t think she was ugly; in fact, her receding chin made her cute in an unconventional way.